This meticulously cared for property has so much to offer. The house was built in 1935 but with modern additions in more recent years along with updating throughout, this home shows and feels much more like a newer home. A living room, master bedroom and master bath was added in the recent past by a reputable, local builder. 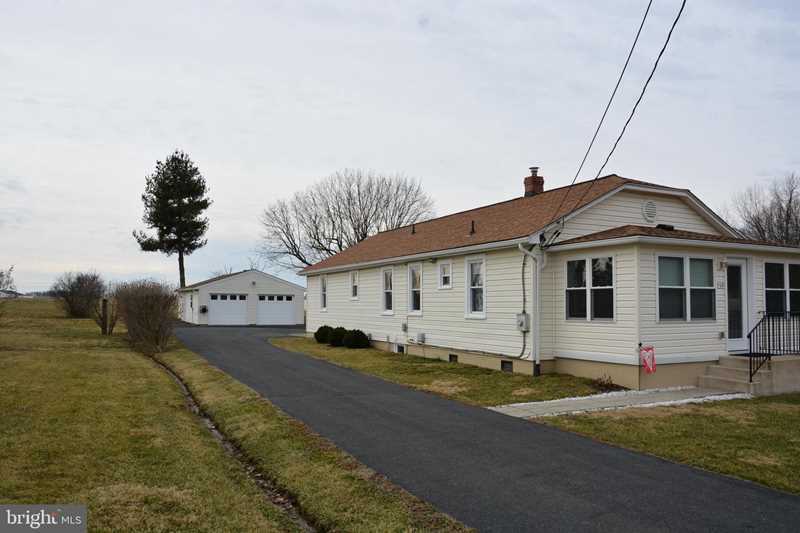 This attractive home has been made virtually maintenance free, clad in vinyl siding (all fascia and soffit wrapped) with the house and detached garage roof recently covered in architectural shingle. The updated country kitchen has a new SS refrigerator and stove. The dining room is quite spacious (was formerly the living room prior to renovations). There is a carpeted sunroom at the front of the house that is also heated and offers a great view of Round Hill. Includes a generator with a hookup that offers some backup (never used). A SunSetter rollout awning covers the rear entrance door. The driveway is paved. With NO HOA, and no restrictions on the lot, you have the freedom of parking your array of vehicles in the rear. The 3/4 acre lot is level and deep. This could be your first home or your last home! 5 minutes from the Winchester Med Center. SchoolsClick map icons below to view information for schools near 739 Round Hill Rd Winchester, VA 22602.